Howdy, my name is Leandro Silva and I was born in São Miguel, Azores. I love meeting people from around the globe and experiencing different cultures first-hand. Tourism and my travels around Europe have given me lots of opportunities to do just that, and I hope that I'll keep on meeting new and exciting people from all walks of life for many years to come! 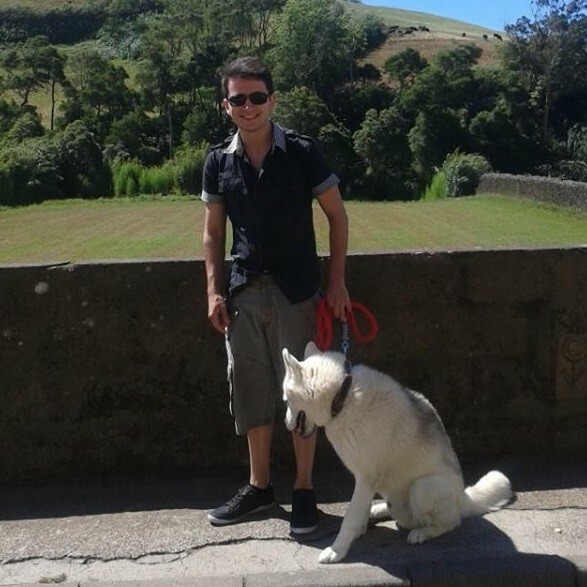 "Terceira and São Miguel are the islands I know best, especially the latter since I grew up here. But I'm confident that I'd be able to plan out a great trip in any of our 9 islands." "I've always loved interacting with foreigners and learning as much as I can about them. Naturally tourism felt like the perfect area for me to continue doing something I enjoyed, and a 5 year experience living abroad combined with knowledge of three different languages gave me an excellent opportunity to do so back home. " "I once got lost at the Versailles Palace's garden. I tried to make my way back to the beaten pathway while holding up a map to my face. What followed was a very Charlie Chaplin-esk dive into the pond. Must have been a great show for anyone watching. Don't think I'll ever live that one down hehe..."
São Miguel is the biggest of the 9 islands that compose the Azores archipelago, and you'll spend a week getting to know its lakes, towns, and geothermal calderas on this guided tour. From your base in beautiful Ponta Delgada, discover the island's highlights and hidden gems though hiking, cycling, and off-roading expeditions—with plenty of time to relax in natural hot pools and beaches along the way. Great trip and experience. Loved it. Highly recommend. Azores offers a lot of cultural dynamics and activities, very accessible from Boston and at a very reasonable price. Great value. Also, close enough to consider long weekend excursions: Thursday night to Monday.